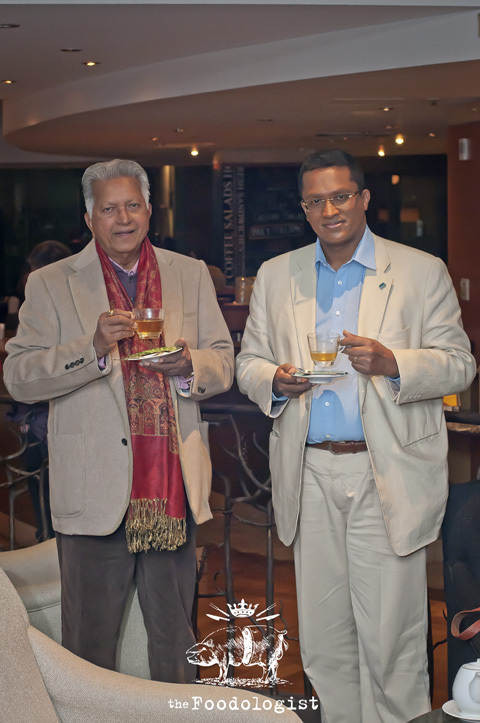 During the 2012 Dilmah High Tea Challenge, I had the absolute pleasure of meeting Mr Merrill J. Fernando and his son Dilhan Fernando where I was lucky enough to share with them a cup of tea and find out all about the global tea empire that they have built. I was also able to find out from Mr Fernando himself the exact details on how to make a perfect cup of Tea. Mr Merril Fernando founder of Dilmah Tea stands with his son Dilhan. After working in the Tea Industry for many years, Merrill Fernando started Dilmah Tea (named after his sons Dilhan and Malik) with the express intention of ethical production methods whilst avoiding the commoditisation of Tea. It is this commoditisation which has only led to a race to the bottom in terms of price with a concomitant drop in quality. 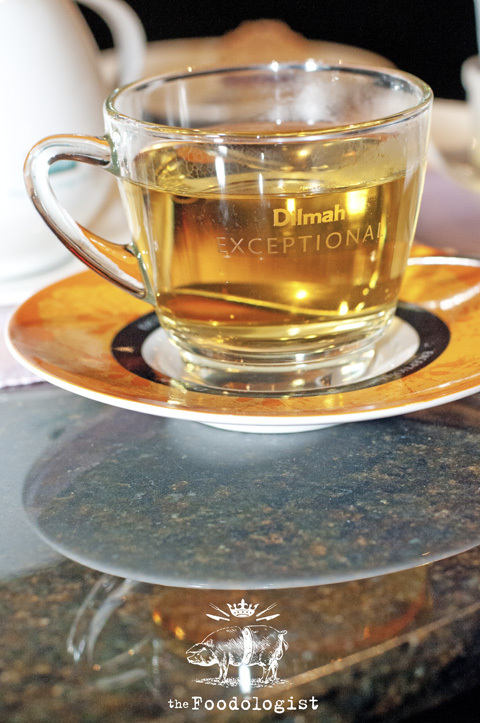 Dilmah Tea on the other hand has the only vertically integrated tea company with its own tea gardens in the world and uses an approach not dissimilar to those used in the appellation system employed across Europe. What this means is that each Single Origin Estate Tea has its own unique flavour and as a result, one can gain a sense of tasting the Terroir associated with the Tea. Each packet of Dilmah Tea carries Mr Fernando’s personal guarantee of quality. A secret tip, he told me was to look for the words ‘Single Origin 100% Pure Ceylon Tea’ if you want to buy good quality Tea. Whilst speaking to Mr Fernando and his son Dilhan, it was interesting to gain the perspective of someone who was in some ways in a similar situation to my own. A family owned food/beverage business that had been trading for a number of decades and was dealing with the consequences of rapidly changing consumer tastes, markets and trading conditions. Like myself, Dilhan had joined the company after leaving University and again like myself, he expressed a similar inclination to continue the business in the manner in which it had begun by keeping the focus on the integrity of the brand and the quality of the product. Therefore, this was not merely to be enlightening with regards to my knowledge of Tea but also there was clearly much to be learnt with regards to my entire approach to running a family owned food business. Needless to say, I listened with intent and digested a plethora of relevent information. 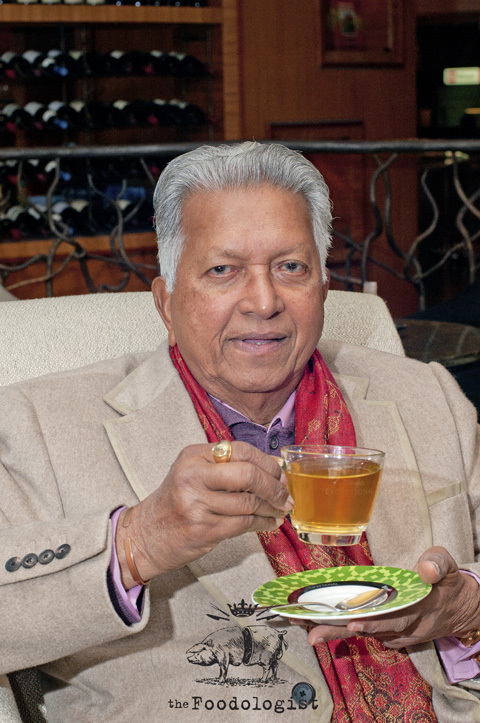 Mr Merrill Fernando, Founder of Dilmah enjoys a cup of tea. 1. Use a Single Estate Tea (this should be expressly indicated on the packaging). 2. Use within 6-7 months of Manufacture. 1. Use the cleanest of water available (preferably Spring Water) so that it doesn’t alter the taste of the Tea. If using loose tea, pour 200-220ml of BOILING water per teaspoon tea into a pot and brew for 5 minutes. If using a tea bag, pour 200-220ml of BOILING water per teabag into a mug with a tea bag and brew for 3-4 minutes. If using loose tea, pour 200-220ml of hot water (80 degrees) per teaspoon tea into a pot and brew for 2 minutes. If using a tea bag, pour 200-220ml of hot water (80 degrees) per teabag into a mug with a tea bag and brew for 2 minutes. Drinking the Perfect Cup of Tea. *This is NOT a sponsored post. All views are my own and information given is as a result of my own research OR as a direct result of my interview with Mr M.J. Fernando. I just love Dilmah tea – the taste is definitely one of the best I have ever tried. I also love reading the little card they put inside the box that tells you about the family, where the tea is grown and how passionate they are about their product. Knowing more about them makes the tea taste better somehow! Damn! 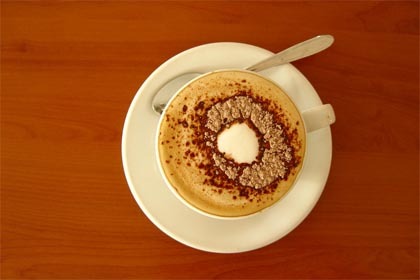 I’ve just had a coffee – but now feel an Earl Grey tea urge coming on! Lovely post. Thanks for sharing. Thanks so much. It was a wonderful learning experience. Hope you are well.